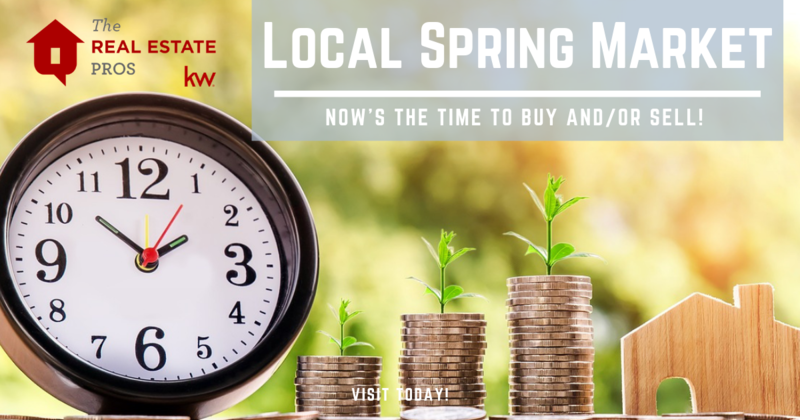 The reports from the Metropolitan Indianapolis Board of Realtors is out for February analyzing the local spring real estate market here in the Indianapolis Metro area. The month over month statistics show that closed sales were down in February 2.8% but Pending Sales increased 10.6%! This bodes well for a busy spring market again this year. Inventory shrank by 5.8%, which is no surprise to most buyers and agents. Homes that are priced right and in good condition are still selling very quickly. Buyer demand is there! This means it’s a GREAT time to list your home for sale to take advantage of less competition! Another great statistic sellers should be aware of is that the Median Sales Price was also on the rise over January – up 3.8%. Average Sales Price was up as well by 6.4%. All in all, Metro Indy is still experiencing a Seller’s Market. Experts expect this to slowly change in the next year or so – moving to a more Neutral Market and then a Buyer’s Market. With interest rates holding steady currently, it’s a great time for buyers to get that new or next home before they start climbing again! 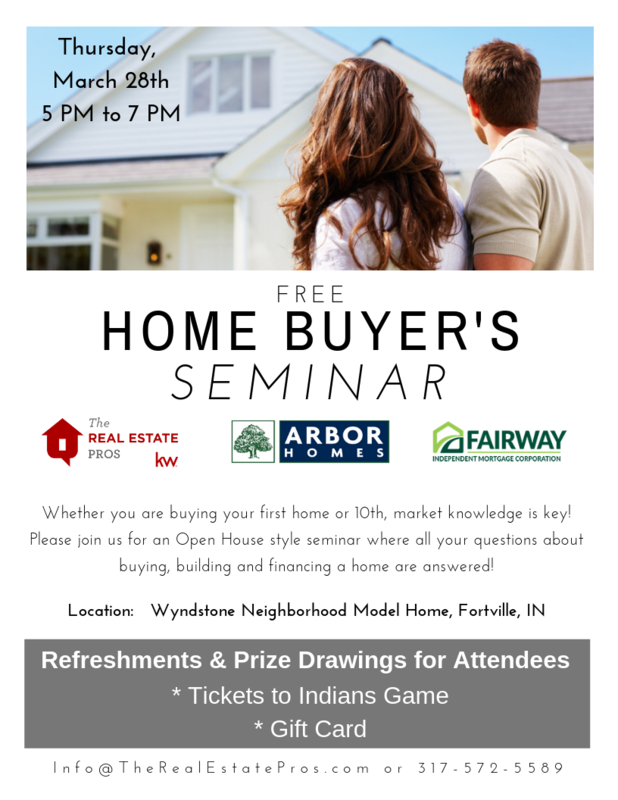 …to join us for a FREE Home Buyer’s Seminar Thursday, March 28th from 5PM to 7PM at the Wyndstone model home in Fortville. Learn all about the home buying or home building process, talk to a lender, inspector and insurance agent about it, too! Bring all your questions and we will get you answers! Register to win free prizes like tickets to an Indians Game and Gift Cards! See you there. If you are ready now, we are, too!! Call us today at 317-572-5589!